Israeli officials have agreed to grant a five-year work visa to Sri Lankan migrant workers who will be working in the agriculture sector. 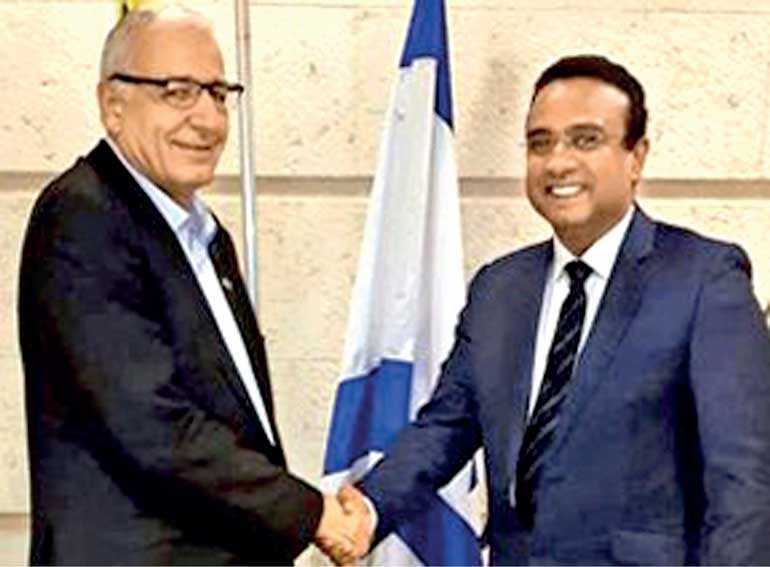 The agreement had been reached during bilateral discussions, held by Deputy Minister Manusha Nanayakkara and a Sri Lankan delegation who visited Israel on the instructions of Telecommunication, Digital Infrastructure and Foreign Employment Minister Harin Fernando, with Israeli Foreign Ministry officials. The Israeli authorities had informed the Deputy Minister that Sri Lankan workers would be given a five-year visa for employment in the agricultural sector after an agreement signed with the coordination of the International Migration Organization. During discussions, Israeli officials pointed out that out of the 500 Sri Lankans temporarily employed in the agriculture sector, a considerable number has not returned to the country after the expiration of their visas and this would cause the future job quota to be reduced. They said those who had returned upon the expiry of their visas would be able to get jobs in the same sector again. At the discussion, the two sides also agreed to immediately sign agreements on providing jobs to 500 Sri Lankans in nursing services and on conditions of employment. Deputy Minister Manusha Nanayakkara noted that the provision of visas to candidates who were recruited by foreign employment agencies and had passed interviews for employment in the nursing sector had been delayed and requested the Israeli officials to take necessary steps to expedite the visa issuance process. The Israeli authorities have responded positively, promising that the embassy would be informed about the issuance of visas. Sri Lankan Ambassador in Israel Periyasami Pillai Selvaraj, Foreign Employment Bureau Deputy General Manager Mangala Randeniya and Advisor to the Labour Department of the Embassy Mr. Wijeratne were also present at the discussions.